Why weddings so often cause conflict between friends — and what you can do about it. Adriana Molello set her best friend up with her future husband in 2014. By the end of the couple’s destination wedding in 2017, Molello was in tears. And they were not happy ones. “We had been good friends since we were born. Her parents are my godparents. I helped her husband pick out her engagement ring,” Molello said. Wedding planning poked holes in their relationship, and by the big day the now cracked foundation could not hold much more. The problems started soon after Molello’s friend got engaged. On the big day, Molello found it hard to celebrate the bride and groom’s relationship when she felt another was crumbling. Molello said the wedding probably intensified existing issues in their friendship. “Weddings have this ability to bring out a hairline fracture in a relationship and shine a spotlight on it in a way that few other things in life can do,” said Jocelyn Charnas, a clinical psychologist specializing in relationships. “The wedding actually becomes a convenient and concrete vehicle for individuals to express resentments they may have had historically,” said Seth Meyers, a clinical psychologist and author of “Dr. Seth’s Love Prescription: Overcome Relationship Repetition Syndrome and Find the Love You Deserve.” That would explain why many brides and grooms recall a friend hurling cruel, seemingly deep-seated comments at them when they were not asked to be a bridesmaid or when they were not allowed to bring a plus-one. When Megan Poltrack was getting married, one of her close friends told her she would not be there. Poltrack was shocked and angered by her friend’s excuse. “Over the years, she distanced herself from her friends whenever they got a boyfriend, engaged or married,” she said. It has been almost a year since Poltrack’s wedding, and they have only spoken once. Nelson can see why Poltrack was so pained by her friend’s rejection. That includes the people who did not make the guest list. “Not getting invited to a friend’s wedding is like the kiss of death for a friendship,” Jessica Fecteau said. She speaks from experience; it has happened to her multiple times. Fecteau’s roommate from her senior year of college did not invite her to her wedding, but other college friends were included. 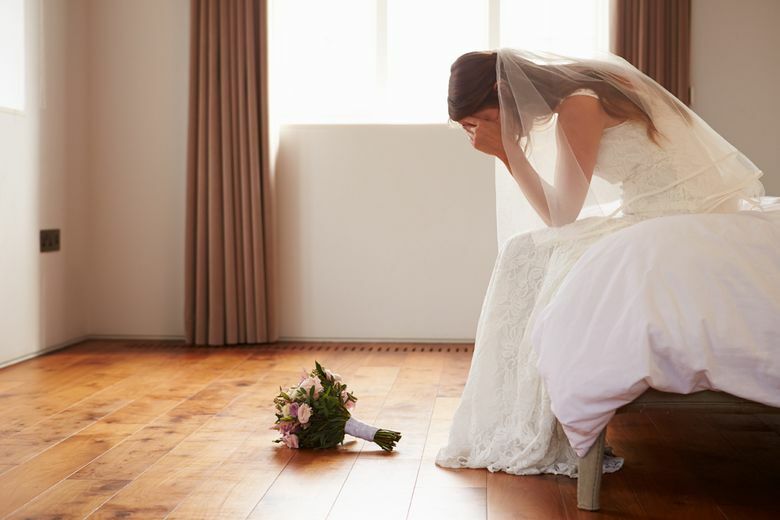 Weddings can cause everyone stress, so Nelson suggests that everyone involved should be more compassionate than normal and try not to take things personally. Meyers has a simple solution to preventing wedding breakups: Have a small wedding.